As a way to make more profit, big corporations will do just about anything. 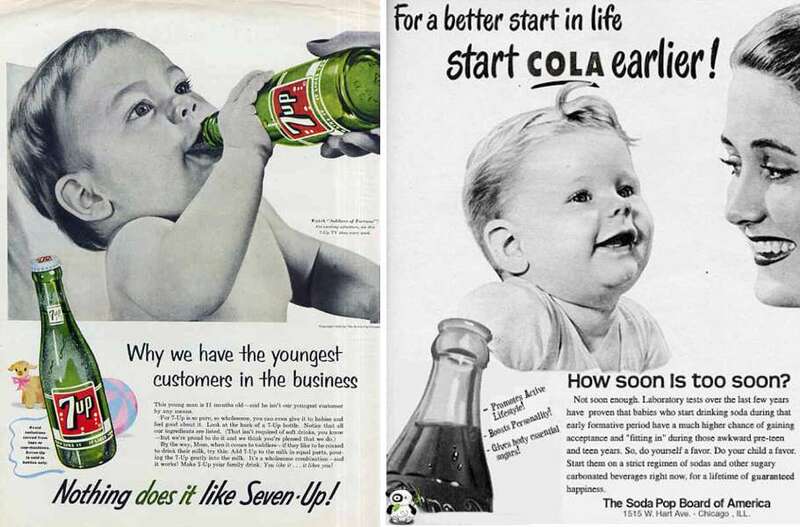 Some of the most insane ads that were allowed to be broadcasted to the general public in the past include giving cola to toddlers and babies, smoking for weight loss, sugar as help to curb appetite…. 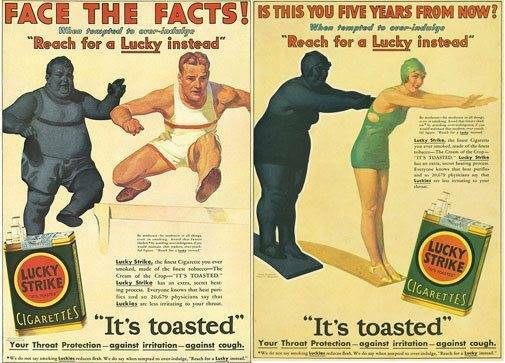 Today, a few decades later, many of these ads seem crazy to us, but as a reminder of just how false or incorrect many of today’s ‘health’ advertisements are, here are 4 truly insane health ads from around the world. While you are reading these, think about today’s health and weight loss ads and how (if any) different are they in terms of manipulation of the public. 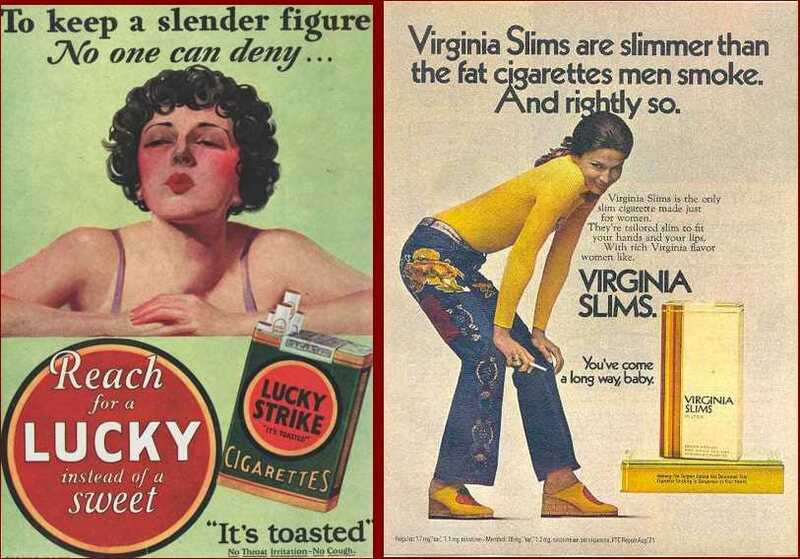 In 1920’s and early 1930’s cigarettes were marketed as a healthy and useful tool for weight loss and stress relief. Big tobacco companies were really persistent in denying the negative effects of smoking, despite the fact that many health experts were pointing the dangers and health risks of smoking. Smoking now remains the leading cause of preventable death in the United States, ending the lives of around 390,000 Americans per year. However, today we know how devastating can sugar be to our health if eaten in larger quantities. From weight gain, to diabetes, to promoting growth in cancer cells, sugar is absolutely not a healthy food. 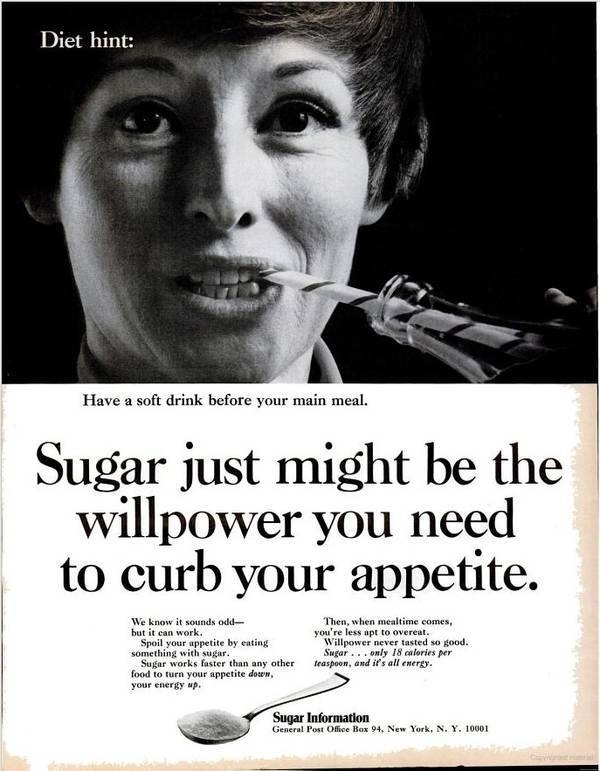 Besides, studies have shown that sugar is highly addictive. 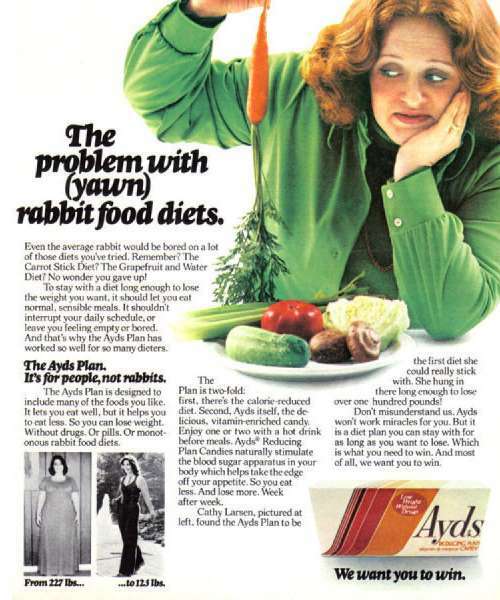 This ‘dieting candy’ company touts a weight loss solution that completely removes ‘yawn rabbit food diets’ that contain foods like vegetables and other produce. Instead of eating broccoli, you can consume one of their stimulant-loaded diet bars. The bar even includes the psychoactive drug phenylpropanolamine, banned in the United States for causing stroke. “For a better start in life, start Cola earlier” – that’s what the ad says. They even said that “Laboratory tests” say that giving cola to a child at an early age will help them with “acceptance” and “fitting in” later on in life. Seven-Up even claimed that their soft drink is “pure and wholesome”. In reality, soft drinks are filled with sugar and ingredients that are harmful to the human body. When given to toddlers, the effects can be even more detrimental on their developing bodies.